Festival Trade start in 2014. 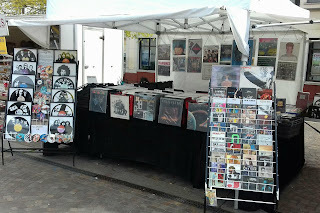 We are a music shop selling records, cds and art on vinyl . We have permanent local markets and we sell online. 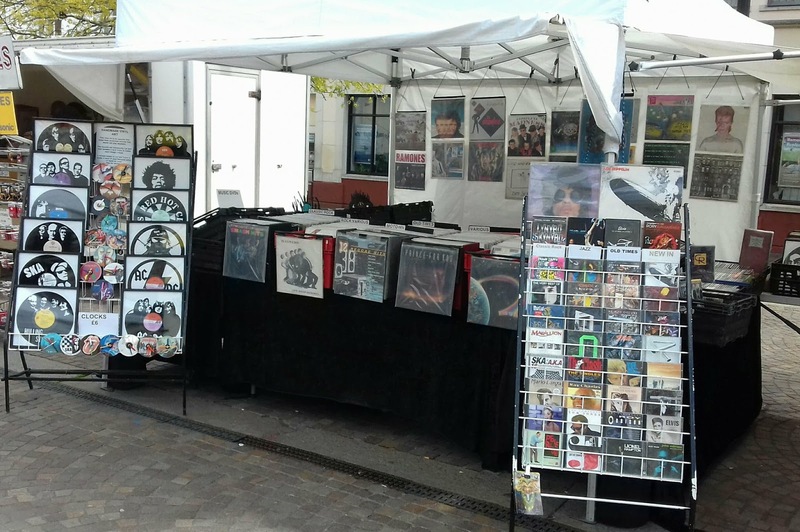 Our music market stall stock many titles not available at our online shop as many of the stock we have on line is new but you can contact us with any request. Our music stock in markets is mainly used. we clean, grade and price our records & cds concordant with the conditions but we do not sell nothing that will not pass our grading standards ! As for selling online, all our products in this website are new and sealed ! We buy and sell music. Most part of our titles come from private collections and we make sure that all our items have been well kipped and are in pristine conditions. In conjunction with music, you can find Art on Vinyl and personalised CD clocks. We sell artist and bands portrait cut out of old vinyl records and framed. You can find us in many Markets and festivals around UK. I hope you enjoy the site and see you soon at your near event or town market.